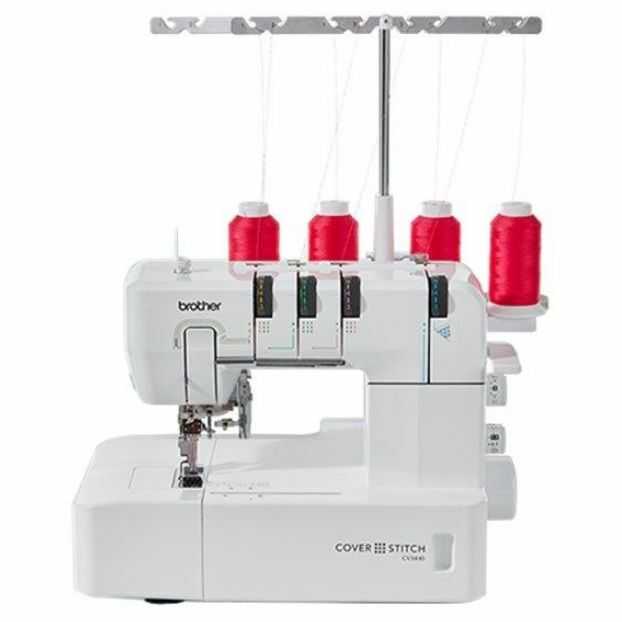 Add a professional finish to your garments, sweatshirts, fleeces and more with Brother's 4, 3 and 2-thread cover stitch machine. 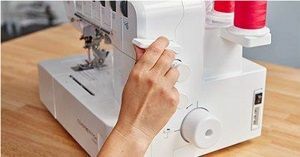 With 155mm working surface to the right of the stitching area there's plenty of space and if you need to use the free arm for cuffs it's conveniently small too. All the controls are on the right of the machine for making adjustments without your project getting in the way. Easy to thread, the CV3440 offers functionality for a high quality, sophisticated finish. Triple Cover Stitch - Three-needle, four-thread reinforced cover stitch. Perfect for hemming, decorative effects, elastic and durable seams for sportswear. Wide Cover Stitch - Two-needle, three-thread cover stitch. 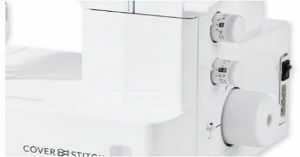 Ideal for hemming, topstitching and decorative effects on T-shirts and knits. Narrow Cover Stitch - Two-needle, three-thread cover stitch. 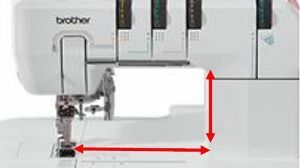 Optimal for hemming on fine fabrics, tape binding and topstitching. Chain Stitch - One-needle, two-thread double chain stitch. 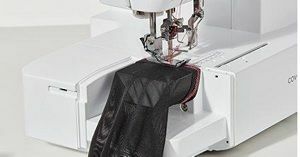 Excellent for sewing rolled hems, tape binding, joining woven fabrics and decorative effects.